Interior design can be dynamic and dramatic or it can be soft and supple but it should always be inspired. Meredith Xavier founder of the Ligne Agency and Ligné Magazine fell in love with beautiful things when working for Christies in Beverly Hills. After tiptoeing around the basement of the National Gallery and grabbing her Masters in Fine and Decorative Arts Connoisseurship she started the innovative Ligne Agency. Dealing exclusively with the creative world of interior design, the Ligne Agency offers a full public relations and business development service. Their highly selective client list boats the best artisans and designers in the business ensuring that high class vision is everything. We sit down with Meredith to find out how the ever tactile company of Ligne Agency is moving forward in the art of the digital age. Every luxury expert has a different story on how they got started in the industry. What is yours? I started at Christie’s Auction House in Beverly Hills. They hired me as an intern when I was a Junior at Pepperdine - and I became enamored with the culture. I was surrounded by incredible and significant works of art and decorative pieces. Soon I was cataloging sales and handling the business side of the art world. I moved to London after I graduated and obtained my Masters in Fine and Decorative Arts Connoisseurship from Christie’s through the University of Glasgow. We spent our afternoons in the basement of the National Gallery viewing works of art the public has probably never seen. It was an incredible experience - and I knew working with the buyers and clients at this level was exactly where I wanted to be. Tell us about Ligné Magazine. 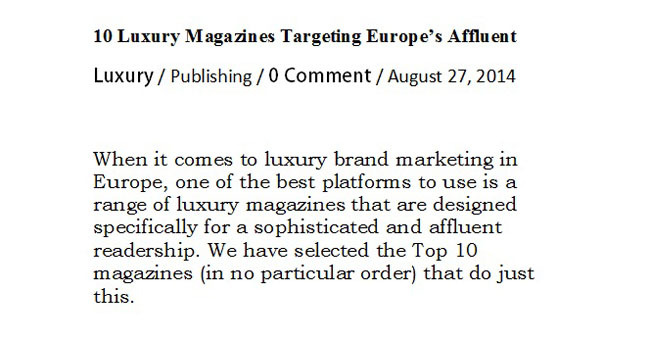 Who is your core audience and what marketing opportunities do you offer luxury brands? Ligné Magazine started as an interior design focused publication and over the years has grown to encompass travel, fashion and culture. There is so much great design out there and sadly not as many places to get it published as there used to be in terms of print - so I decided to start my own magazine and tell the stories I wanted to tell. And I absolutely love to write, when I can find the time. Our audience is consumers in the top 2% HHI and architects and designers that are working on multi-million dollar homes. Our print issue has controlled distribution, so our advertisers know exactly who it is going to. That is the biggest draw about working with Ligné Magazine. Our online readers vary greatly, but one thing they all have in common is a passion for interior design. That is the core of the magazine and always will be. In what ways has your publication changed over the years? And how has your publication remained successful in light of competing digital magazines? Like any magazine we have evolved dramatically each year. The design is better, the content is more international - and we are constantly striving to bring beautiful design to people who are perpetually on the lookout for ways to enhance their home, wardrobe and overall lifestyle. I don’t feel that we are competing with other digital publications - we live in a world that constantly bombards you with information. There is so much to see online that it is at times completely overwhelming. On the upside of that, digital publishing makes it easy to consume several magazines a day regardless of where you are. Ligné Magazine is meant to be something to escape with - a beautiful, clean design with great features that our readers can truly enjoy. What do you think is the future for print publications, as compared to digital alternatives? We print Ligné Magazine because the design industry is very tactile. They want to turn the pages, flag designs, bend a page corner - and even tear out images to put on an inspiration board. This is the beauty of print publications. What we are sharing and writing about is nothing like a newspaper. The magazines are meant to be kept and read over and over again - I will always prefer to read a magazine in print than online. Digital brings accessibility. Articles are easy to share and everyone loves a good Pinterest board. We have a need for both, and I think we always will. How has the world of social media affected print publications? And what is your strategy when it comes to social media? Social media has allowed magazines to expand their audience by sharing original content and driving direct traffic directly back to their publication. It also helps build anticipation towards future issues - we love to preview articles or give sneak peeks to our social media followers so they have the inside track on our upcoming issues. Many print magazines also manage a successful luxury blog. What is your take on this? For us, we can’t put everything in print - so online is a venue to share stories and content that we think our audience would love, and just simply doesn’t work into an upcoming print issue. Having an online presence as a publication is vital to keeping readers engaged. It allows constant communication with readers that wouldn’t be available otherwise. What do you think constitutes a successful marketing campaign? And what are some examples of successful campaigns that have featured in your publication? A successful marketing campaign makes you stop and pay attention - whether through verbiage or imagery. It engages, and gives a relevant message to the audience for which it was created. Most of our advertisers are shelter industry focused, and the most successful campaigns are the simple ones. They exhibit great design with no fuss - they allow the quality of the product to come through and speak for itself. Like most successful blogger/editor, you probably received hundreds of emails per month from luxury brands who want you to share their story. What makes you decide to work with a brand over the other? I look for the unique - the one of a kind, and the true talent that isn’t just regurgitating what has been seen time and time again. 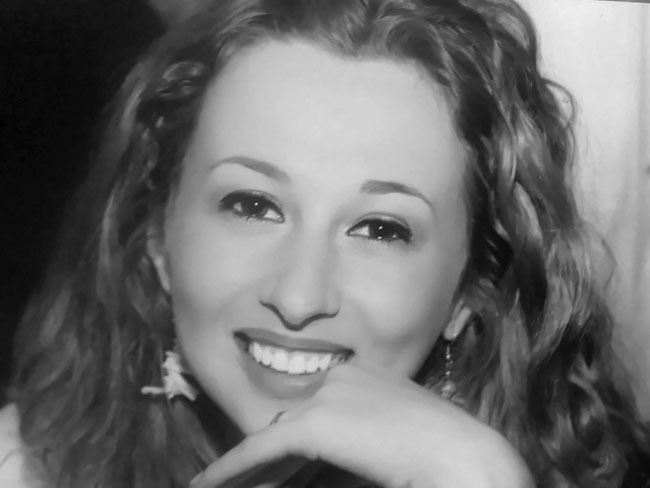 I also publish products and projects that I personally feel stand for something. Sadly, that’s few and far between. And brands that send me a concise, to the point pitch that is tailored for our publication have a much better chance of getting coverage than the generic press release. What is your take on press releases? Do you still enjoy receiving them or do you prefer a more personable one-on-one approach? Definitely the one on one approach. We appreciate when a pitch is directed at our publication - knowing the individual who sent it has a knowledge and understanding of our audience and takes the time to send us edited and relevant content. Generic press releases that are sent to mass audiences are not of interest to us. If you had to give advice to a new luxury startup on how to get featured in a prestigious luxury magazine, what would it be? Get your brand out there - pick up the phone and call the editor you are pitching to. Let them know who you are - set a time to meet in person and show your work. Know your audience, your brand message and your PR goals. Editors appreciate hearing the story about the product and why it is significant, unique and worthy of valuable page space. Every pitch may not be a placement, but you are setting the foundation with that editor and building name recognition. That can only help the future success of your brand with that magazine. Connect with Ligné Magazine on Facebook, Twitter, Instagram or LinkedIn. Or reach out to us for an introduction. Firstly, you need to be familiar with font families. That includes families from Old Style such as Bembo, which originated during the Italian Renaissance and was used by a famed printer of the times Aldus Manutius, to Modern, of which Helvetica is a good example, and everything in between. Rather than combining two similar fonts, opt for a serif font paired with a sans serif option. In the previous example, we have used two fonts – Times New Roman, which is a serif-typeface, and Calibri, which is a sans-serif-typeface. When using a combination of two fonts, ensure there is a strong contrast between the two. Otherwise, it won’t add to the readability. And it won’t appear nice either. Again, we can get a good idea about this from the example above. Having said that, make sure that the two fonts have a similar ‘mood’ or feel, and reflect the same era or time period. When using two fonts from the same family, they should appear to have different weights – the one seeming heavier than the other. Some fonts, although popular, are best avoided. These include options such as Comic Sans, Papyrus, Curlz, Viner Hand and Kristen. Keep in mind, every font conveys an emotion. If you wish to convey a serious tone, Comic Sans isn’t really the right choice. Platforms such as DaFont provide a seemingly endless array of fonts from which to choose. However, when choosing fonts for your website, you need to use Google Fonts. Although these guidelines provide assistance and advice, you also need to experiment with various options and combinations to find a ‘feel’ that best fits your brand and your marketing strategy. When it comes to luxury brand marketing in Europe, one of the best platforms to use is a range of luxury magazines that are designed specifically for a sophisticated and affluent readership. We have selected the Top 10 magazines (in no particular order) that do just this. 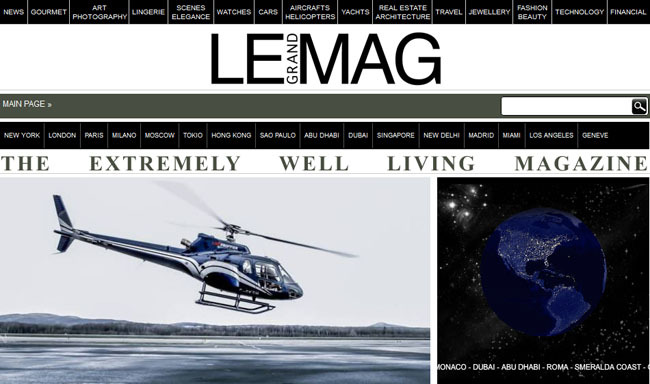 Le Grand Mag is dedicated to “extremely well living”. It covers everything that is to do with an extraordinary life, from helicopters to beauty, from lingerie to cars. 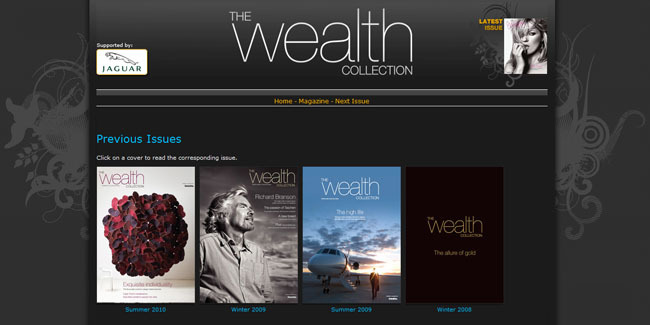 For advice on luxurious enjoyment, the affluent need look no further than The Wealth Collection. This magazine caters to an exclusive readership and focuses on both managing a personal fortune and embracing the very best in life. 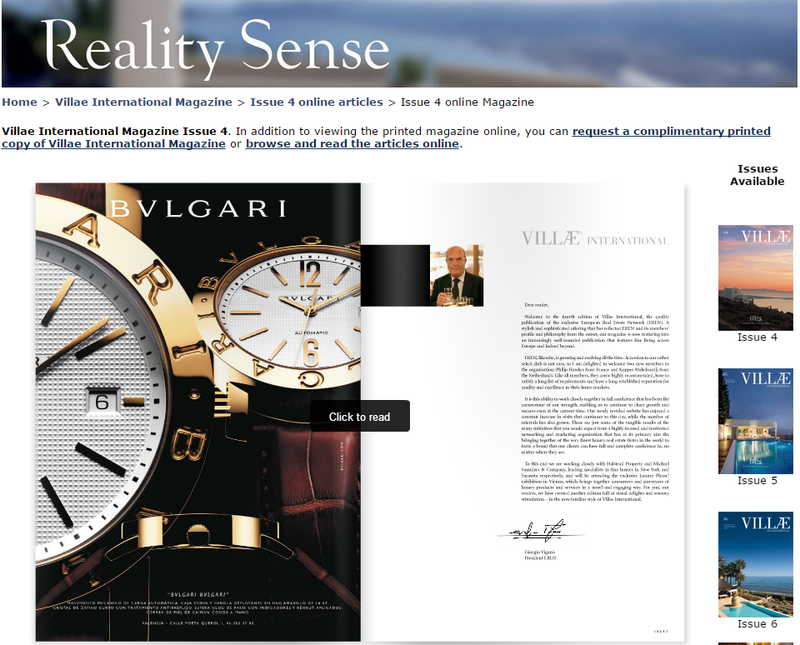 The Swiss-based Luxury Life Magazine is distributed exclusively to HNWI and UHNWI. 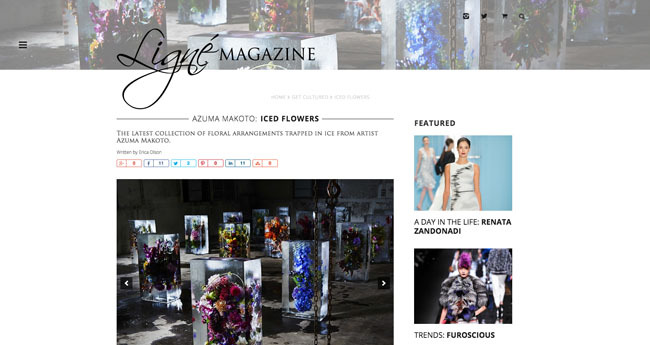 With an estimated global readership in excess of half a million, it is an ideal advertising platform for luxury brands. Sur La Terre focuses on the unique and sophisticated. In addition to covering the latest global trends, the 10 editions across Europe and the Middle East feature regional content for the affluent. 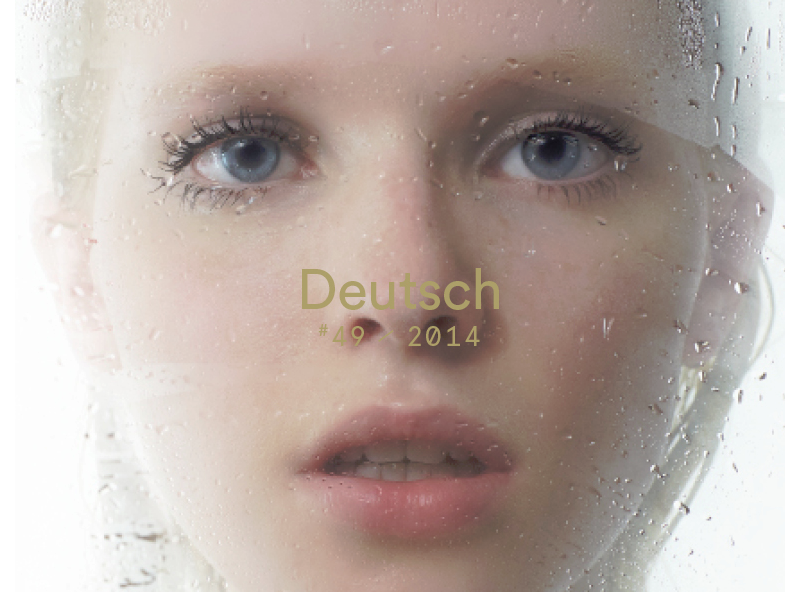 German luxury magazine Deutsch focuses on fashion and society. It aims to set new trends through high quality content and extensive photography series. Villae International is “for connoisseurs of the good things in life”. It is the official publication of EREN – the European Real Estate Network. This magazine is the epitome of quality and excellence. 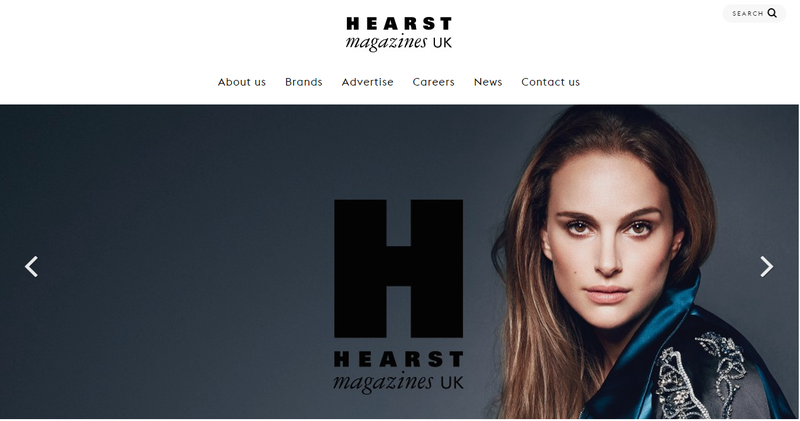 The newly launched Hearst Magazinez UK offers a British take on high society, high culture and high fashion. It has the same wit and sophistication as the US publication whilst targeting the UK’s luxury market. 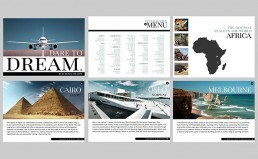 The Kempinski Magazine is only available at certain exclusive locations, such as Kempinksi hotels and Sixt saloons. It is a celebration of all that is beautiful and elegant. 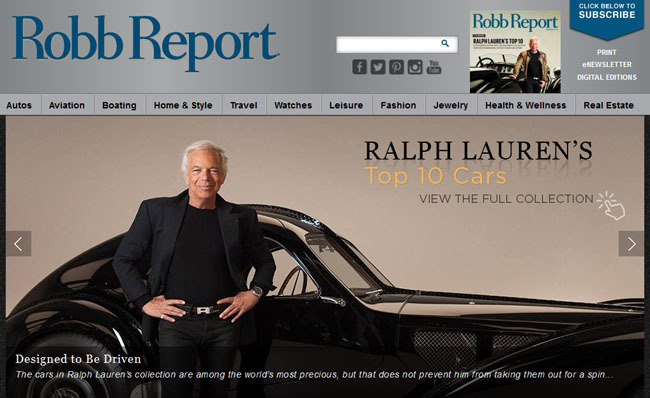 The renowned Robb Report is synonymous with the global luxury market. It covers all aspects of the ultra-affluent lifestyle, targeting sophisticated connoisseurs the world over. 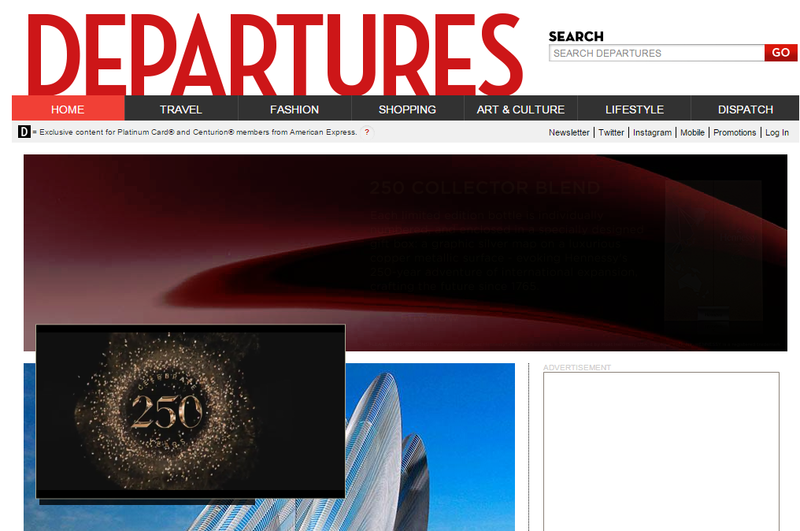 Departures is a luxury magazine that targets affluent readers interested in travel, fashion, shopping, lifestyle, art and culture. In particular, it is aimed at American Express’ Platinum Card and Centurion members. While a significant section of the publishing industry has moved in a digital direction, those who target affluent Americans continue to create luxurious, sophisticated printed magazines for their consumers. These luxury publications cater to a specific group of elite readers and operate with the unique goal of exuding opulence with every turn of the page. These publications are not only written to engage today’s affluent American, but to offer a stunning piece of art work readers can hold right in their hands, and use as their personal gateway into the world of elite living. These high-end lifestyle magazines have become a lasting staple in the world of luxury branding, and continue to successfully engage elite consumers. This prevalence in the market has made these publications a popular communication for luxury brands who want to advertise directly to their target consumers. Here are ten of the most influential luxury lifestyle publications available on the market today. This monthly magazine has been in publication for over three decades and displays products and services from the world’s leading luxury brands. With themed editions that include their annual “Best of the Best” issue, this magazine has a longstanding following of dedicated readers. 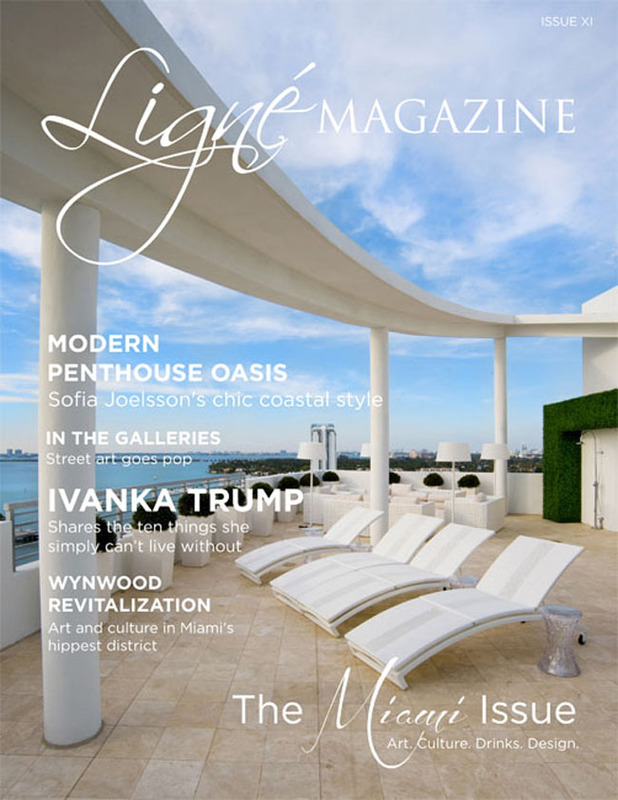 Known as the “portal of luxury goods” this upscale magazine is an exclusive publication that touches on everything from yachts and private jets, to real estate and fine jewelry. As one of the most popular magazines in the Modern Luxury collection of publications, CS has a readership of more than 270,000. Twelve issues a year are circulated to events, luxury hotels and those who have paying subscriptions. As one of the most popular Niche Media publications, LA Confidential offers readers with an inside guide on how to live like the rich and famous. This high end American Express magazine is distributed only to the company’s Platinum and Centurion card members. Seven issues a year focus on the globe’s leading luxury brands. 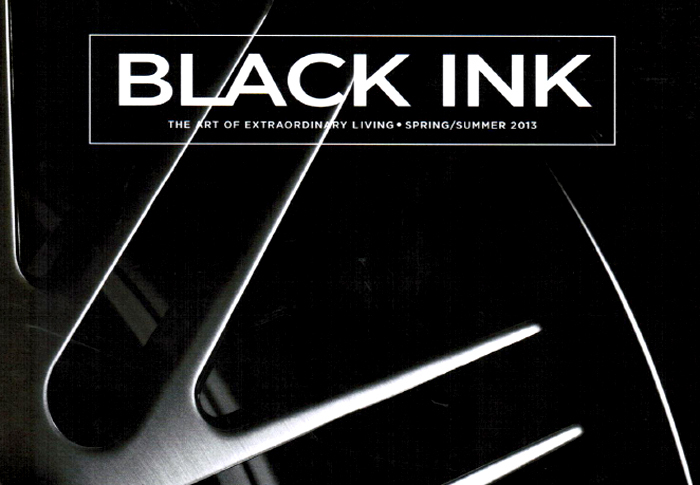 This invitation only magazine is offered only to the highest level of American Express cardholders, and is associated with the brand’s infamous Black Card. 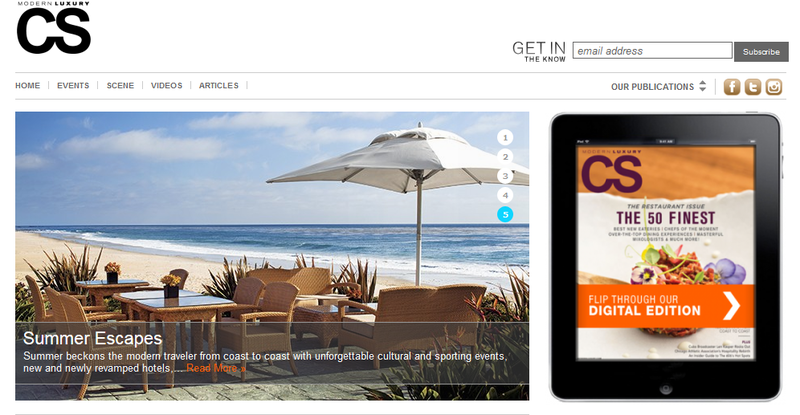 Four issues a year focus on single topics that cater to the affluent reader. The tagline for this magazine is “living luxuriously worldwide,” and it focuses on offering six yearly insights to the most high-end travel destinations across the globe. Voted as the top travel magazine in the world, this publication offers seasoned, affluent travelers with insight into the globe’s most luxurious destinations. This monthly magazine has been around since the 1930s. Now owned by American Express Publishing, Travel and Leisure focuses on offering monthly articles and travel photography of the world’s most upscale environments. Six issues of this publication are released every year to readers who have an average household income of $5.3 million. 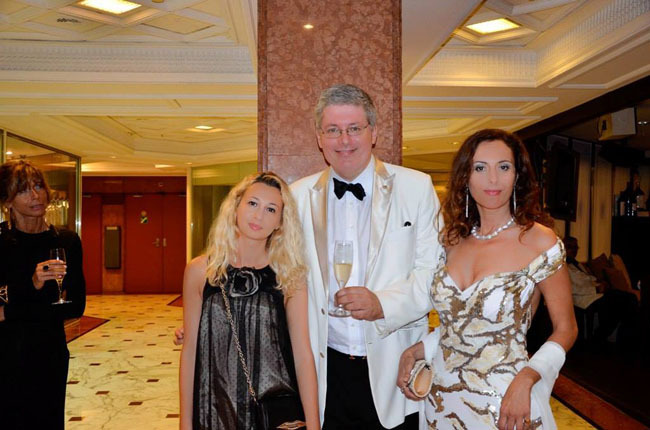 The publication is aimed at the ‘elite affluent’ and more than 90% of the distribution of these magazines are inside private jets and first class airline lounges. 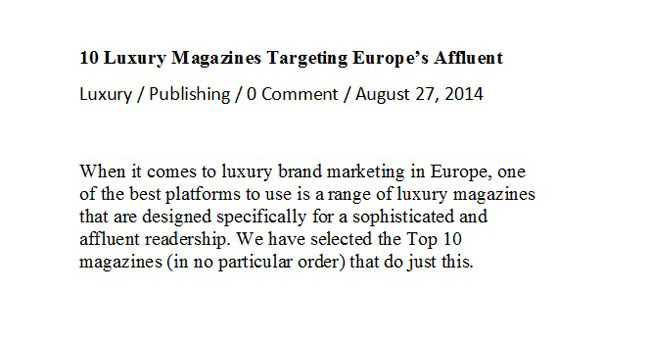 Did we miss your favorite luxury publications targeting the affluent American? If so, add your favorite print magazine in our comments. Nowadays, it is not only important to be great at what you do but it is also important to share the knowledge with fellow industry leaders and peers. Becoming a thought leader takes time, hard-work but among all it takes commitment and dedication to provide great content for your industry. To help you get started, here is a list of 8 Content Marketing Ideas to Become a Thought Leader and help you showcase your knowledge and skills to your community. 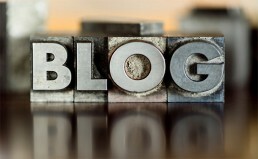 Whatever your industry or whatever the size of your company, you MUST have a blog. Why? How else will customers engage with your website? Gone are the days of beautiful Flash-based websites that have little or no editorial value. Nowadays, customers want to get to know you before they buy from you. There is no better way to share your expertise and knowledge then by maintaining an engaging blog. If you want to become a thought-leader in your industry, you might want to consider putting together an in-depth report or guide that helps your readers understand an issue, solve a problem or make a better-informed decision. Sounds too serious? What about creating a guide on travel trends to your country or city; a study on the best SUV to travel with pets; or a paper on how to source local produce for your kitchen? Remember, the goal is to engage your audience; therefore, you should create a white paper that has impact, preventing it from simply being downloaded, browsed over, then forgotten. Meant to be read digitally on a computer, laptop, tablet or smartphone, an eBook should be born digitally and not be a mere reformatting of a print edition. An eBook can become a great visual representation of your brand or of your products and services. They can be enhanced with great images and include links to relevant websites. Check out a few eBooks we created for MY Starfire, a charter superyacht whose captain is Carl Sputh. If you have recently surveyed your customers or peers on a particular subject, why not create a report for your industry? Find a niche that hasn’t been covered by your peers and create an interesting survey. Sharing the acquired knowledge will greatly enhance your expertise while giving valuable information to your audience. And remember, the content can then be re-purposed to design infographics, blog posts, white papers, eBooks and more. Every industry needs someone to collect and organize data and statistics, so consider doing some of the legwork yourself. Create an eBook or white paper filled with statistics and data relating to your industry, and then share it with others. If you plan to do your own research, create your survey questions by keeping this content strategy in mind. You are most-likely already doing the research for yourself, so why not put it through a basic design process to turn it into a great content offer. Round-up the best industry publications, blogs, websites, Twitter feeds, Facebook pages or Pinterest boards and present them in a visually compelling eBook, slide share or whitepaper. Like any industry, yours probably has dozens of buzzwords, jargon and lingo that can leave your prospects feeling out of the loop. Help them become familiar with your industry’s vocabulary by creating an easy to understand glossary of terms. Keep it short and simple and consider regrouping terms by subjects or products. Demonstrate how your products and services solved actual problems for specific clients by highlighting your accomplishments. Explain the initial problem, demonstrate the methods and tactics used and then share your results. Case studies are a great way to generate new leads for your company. If you want to become a thought leader but need help with the curation and creation of appealing content, reach out to us for a complimentary consultation. With over 1000 blog posts, dozens of eBooks and infographics under our belt, our team has become a leader in luxury and luxury travel content creation. What content marketing strategy will you take to generate new leads in 2014? There has been talks around the office about starting a blog but no one has put their foot down and said "let's start today". There is obviously several reasons for this. You don't know where or how to start. You have doubts about the return on investment and the overall results. You might not have a good writer on your team. All excuses are good, but here are a few reasons we think might make you start blogging today. Every brand has a story to tell and there is no better way to start then with a great blog. Share some of your team's highlight such as a community driven action, a new success story or the addition of a new team member. It's your blog, so basically, you can write about anything and everything. 2. To generate traffic with SEO. If you build a great website but never update it, it basically becomes a forgotten particle of content in an ocean of newly created information. But with a blog, you become pertinent and important every week or, even better, every day. Google continuously rolls out new changes to its algorithms but one thing is for sure, they will always put a great deal of value on fresh original content. You want Google to send traffic your way, right? Then give it some great content to chew on. You can't be recognized as an expert is you hide your skills. Think about it, you probably spend at less one hour each day researching a subject or another online. You read dozens of article on any particular subject before you make up your mind. You probably even follow a few bloggers in your industry to get the inside scoop on what's new. What if you turned the table around? What if you shared your knowledge with others and they started to follow you? Wouldn't that be great? Start a blog, share your knowledge and become an industry expert. 4. To become customer focus. You probably get the same questions from your clients over and over. So why not write a blog post with the answers, given them the information ahead of time. They will love you, follow you, brag about you and most likely, do business with you. And as a side result, Google will see that you create relevant content for your industry and will index you to the top of search results. It's all win-win. 5. To learn something new. Sounds strange. But really, you can't write a good article without doing a good deal of research on the subject. And as you probably know, reading one good article ultimately leads you to reading 10+ good articles. Also, you will most likely get a few user-generated comments with each new blog posts. Replying to these comments is a fabulous way to dig deeper into a subject. Once your brand starts blogging, you will inevitably want to start sharing it too. This is great. The web has become a playground for brands and you will be surprised how easy it is to make new friends when you have something interesting to say. You first have to put yourself out there with awesome content to then be invited in the expert's inner circle. Don't forget that social media is not about self-promoting but about relationship building. If you are still not convinced and need some numbers about blogging and content marketing, check out our curated list of statistics that might convince you otherwise. Now, give us one good reason not to start blogging today?